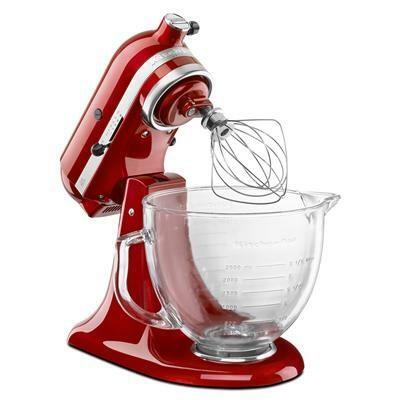 KitchenAid® Architect® Series 5-quart tilt-head stand mixer. 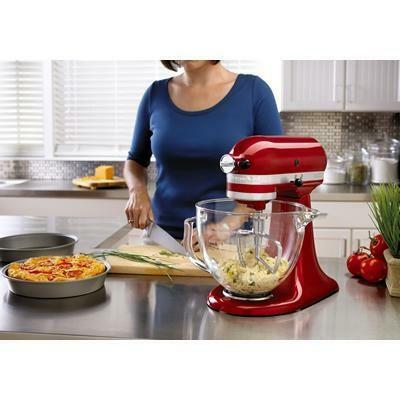 Designed to reflect your passion for cooking and entertaining the 325-watt Architect Series tilt-head stand mixer with its 5-quart glass mixing bowl is an attractive addition to any kitchen. 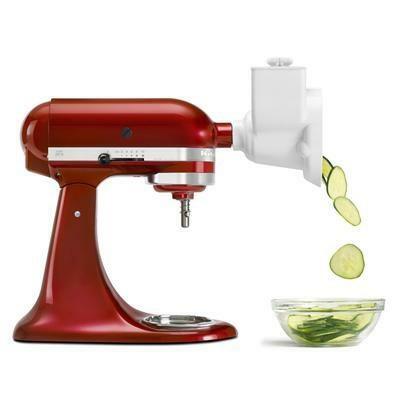 The bowl features an ergonomically designed handle for easy lifting and steady handling. Other Features 5-Quart Glass Bowl with Tapered Spout. 10-speed slide control ranges from a very fast whip to a very slow stir. All-Metal Construction. Locking Tilt-Head Design. Tilt-head design allows clear access to the beater and bowl. Multipurpose Attachment Hub with Hinged Hub Cover. Planetary Mixing Action. Included Burnished Flat Beater and Dough Hook, and Stainless Steel Wire Whip. One-Piece Pouring Shield.